Penny is a very lovely little white soft toy mouse. 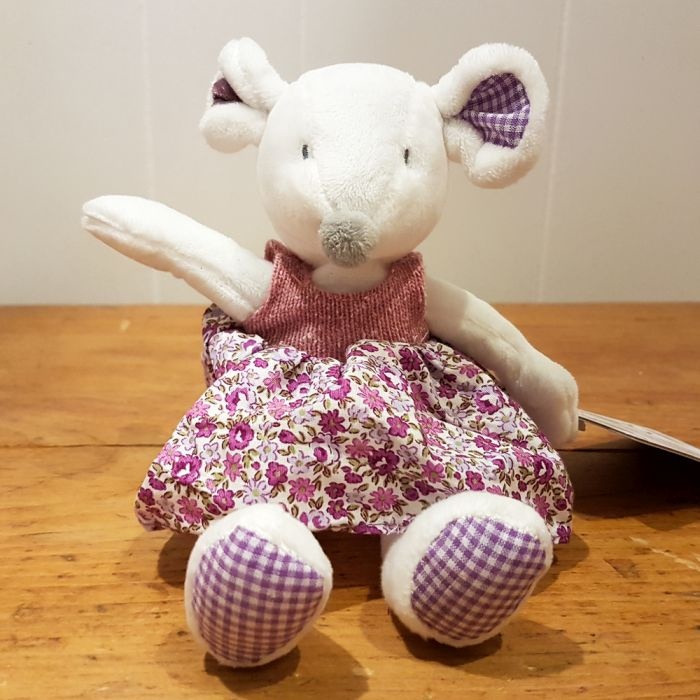 She is a delightful little girly mouse dressed in a floral skirt and knitted top, with mis matched ears and a soft pink tail. Size: Penny is 21 cm tall. Suitable for birth onwards (as eyes and nose are embroidered) and machine washable at 30 degrees.